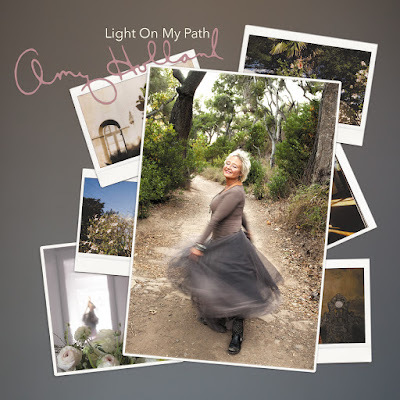 Amy Holland was nominated for a Grammy Award for Best New Artist for her debut album and has gone on to have a vibrant career working as a recording artist, songwriter, in television and in films, and with some of the greatest contemporary singers of our time. Her fourth album entitled, Light On My Path, gives a very personal account of her life to this point and even includes a duet with her husband of 35 years, Michael McDonald, the five-time Grammy-winning singer-songwriter-keyboardist known for his roles in Steely Dan, the Doobie Brothers and as a solo superstar. Stay Thirsty Magazine had an opportunity to visit with Amy Holland and her husband while they were on the road touring with the Michael McDonald band. STAY THIRSTY: During your career you have released four albums. How would you describe the arc of your music during that time? How has you thinking about songwriting and singing changed? AMY HOLLAND: When I recorded my first LP, the recording world was so new to me. With Michael (McDonald) producing with Patrick Henderson, I had the amazing opportunity to work with some of the best musicians in the business. I really had not developed my own voice yet, though I was very excited about the way the album turned out. My second album as well as the first, I was still new in the songwriting arena and only had one co-writer on each record. The thrill, of course, was being nominated for a Grammy as Best New Artist (which I lost to my friend Christopher Cross). Fast forward, many years later. Bernie Chiaravalle and I started to write together and also brought in John Goodwin, so I actually co-wrote most of the CD, The Journey to Miracle River. Bernie did a fantastic job of producing the record. This is when I fell in love with the writing process and I love to collaborate. On my latest project, Fred Mollin was the producer of Light On My Path. He reminded me of the record that we had started together many years ago and should finish. I only had two co-writes on this project, but between Fred and me, we found songs we loved, written by so many great writers, and we just wanted to make the best record possible. I touched on a few different styles of music that I love and because it was on our own label, we were able to do whatever we felt, and were not being doing told what we “should” record. I feel like I found my true voice on the Miracle River CD, but Light On My Path was a whole other ballgame, even though I did not write as much, I really did get to spread my wings. Recording in Nashville was so different than the L.A. days, and Fred bought out everybody’s best. The main thing that has changed is that when I write a song now, it suits my voice better because I write what I sing best. STAY THIRSTY: Having worked in so many aspects of the music business, from singing to songwriting, from working on films to television, to contributing to the projects of other musicians that include Kenny Loggins and Joni Mitchell, to having your songs recorded by Judy Collins and to being sampled by Lil Wayne, where does your heart and soul lie? What aspect of the music business brings you the greatest satisfaction? AMY HOLLAND: I would have to say that developing my writing skills has been so rewarding, and I really love working in the recording studio. In the 70s and 80s, I had horrible stage fright, but now I’m out singing live with my husband's band and I’m having the time of my life. I mean, who wouldn’t want to sing to his songs with a great band? I am also thrilled to this day when I’m asked to sing on other people’s projects. STAY THIRSTY: Your parents were both multi-talented people in different parts of the entertainment business. You obviously followed in their footsteps. Are your children going to carry on the tradition? AMY HOLLAND: Well, my daughter Scarlett has a beautiful and powerful voice, but music does not seem to be her path. On the other hand, my son Dylan is a fantastic singer-songwriter, with his own voice and style. We are so proud of both of them. STAY THIRSTY: What is “the light” on your path and how does it reflect your life as an artist, wife and mother? AMY HOLLAND: Light On My Path illuminates my way. Sometimes I don’t always see the light, so it’s then that I try to relax and receive inspiration from a Higher Source. That will always be better than my trying to force an answer. This makes me a better mother and wife because I truly live this. If I don’t see the light on the path right away, I know patience will bring inspiration. STAY THIRSTY: Can we expect a fifth album for you in the coming years or more work in the studio on other projects? AMY HOLLAND: I know I have at least one record left in me, but I will see where things go. I feel inspired to write with my buddies again, and am also interested in some musical roads that I have not crossed yet. I plan on sticking around and seeing what happens. You can’t get rid of me that easily! STAY THIRSTY: You have been married to Amy Holland for a long time. What has been the secret of your 35-year marriage in a business that generally does have sustained marriages? 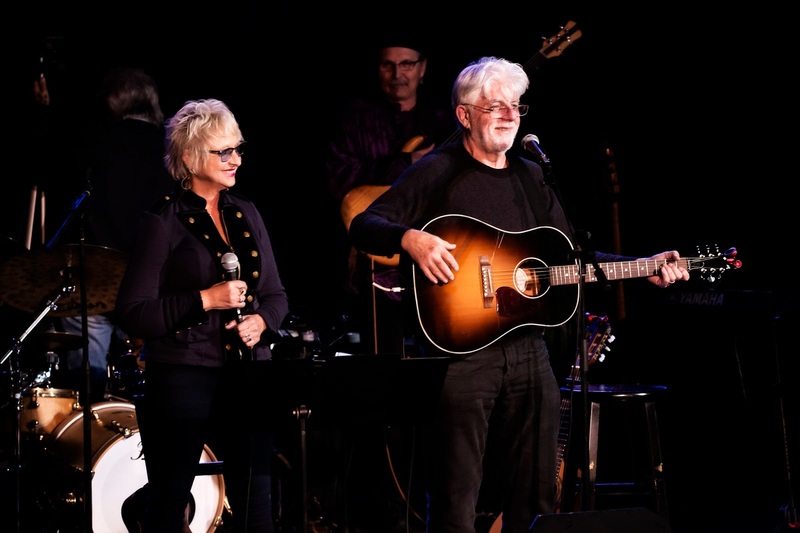 MICHAEL MCDONALD: My marriage to Amy, like any marriage, has not survived without its share of trial and error. It has benefited greatly over the years from a certain ability to laugh at ourselves, at each other and our life together, to find the humor when we needed it most. But it's always taken both of us, individually, and our combined effort at times, to see it good. Over the years we've been both good and not so good at what it ultimately takes to have a good relationship. Things like listening to one another, spending sufficient family time and most importantly together time as a couple. I believe our marriage has been worth the effort we've made together.